Made by () 1929 to () 1937. Photo-Plait was a major distributor who had no own production. The Splendor presented here is a folding plate can also be equipped with a frame film-pack of 12 views. It has a Roussel Trylor 4.5 / 135 mm lens and a Gitzo shutter 1 / 25 ~ 1 / 200 sec, B, T (there have been a more efficient, objective Stylor, and Compur shutter). It is equipped with a device giving vertical and horizontal shift. 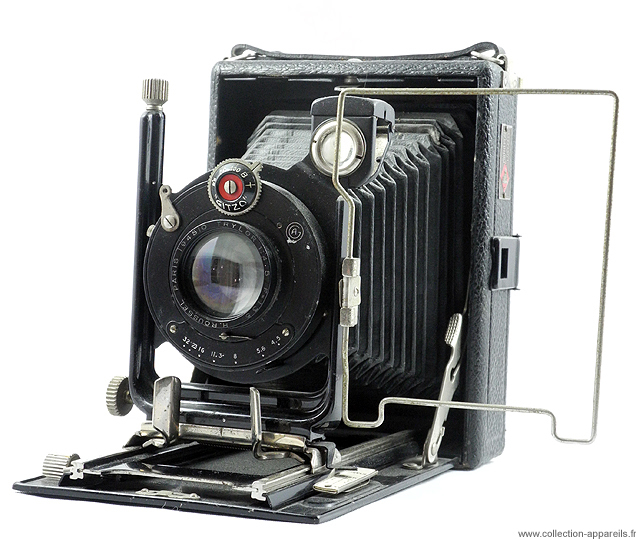 viewing is done by a small viewfinder mounted on the plate of lens, external viewfinder folding, in use with plates, the viewing could also be made of frosted glass.